This skirt is one of the season’s must-have pieces, creating a playful yet feminine silhouette. 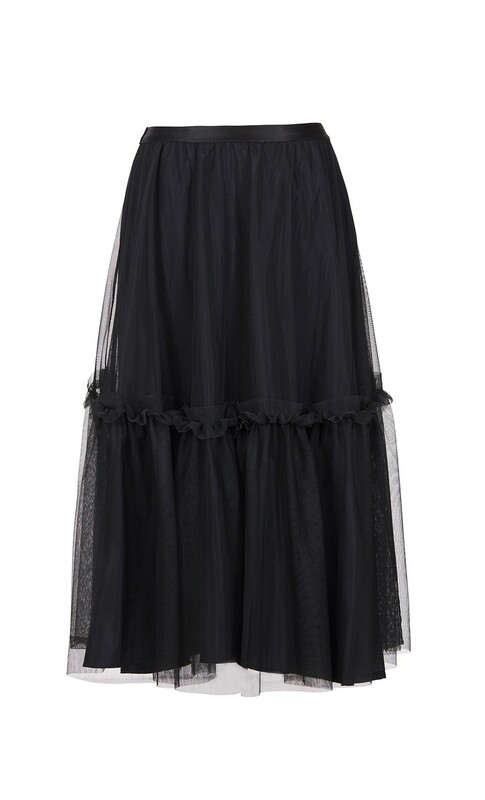 Cut from featherweight tulle with an A-line silhouette and tiered, gathered ruffles. Elevate the skirt’s french-girl chic with a form-fitting top, accentuating the skirt’s flattering elasticated high waistline.